Amazon.com Inc Chief Executive Officer Jeff Bezos will retain voting control of his entire $143 billion stake in the company under a divorce settlement with his wife, MacKenzie Bezos, who will own 25% of those shares, the couple said on Thursday, removing uncertainty over control of the online retailer. “It takes the issue off the table, with less turbulence than you might have expected,” said an investor, whose company owns several million dollars’ worth of Amazon shares but who asked for anonymity because of a firm policy. MacKenzie Bezos will wind up with a stake in Amazon that is worth roughly $36 billion. Her shares represent a 4% stake in Amazon, according to a regulatory filing by the company. The Amazon shares will make her the world’s third-richest woman while Jeff Bezos will remain the world’s richest person, according to Forbes. The couple, who tweeted separately on Thursday, disclosed that under their settlement MacKenzie will give up her interests in the Washington Post, which Jeff Bezos bought in 2013 and which has been a frequent target of criticism from US President Donald Trump, and the rocket company Blue Origin he founded in 2000. 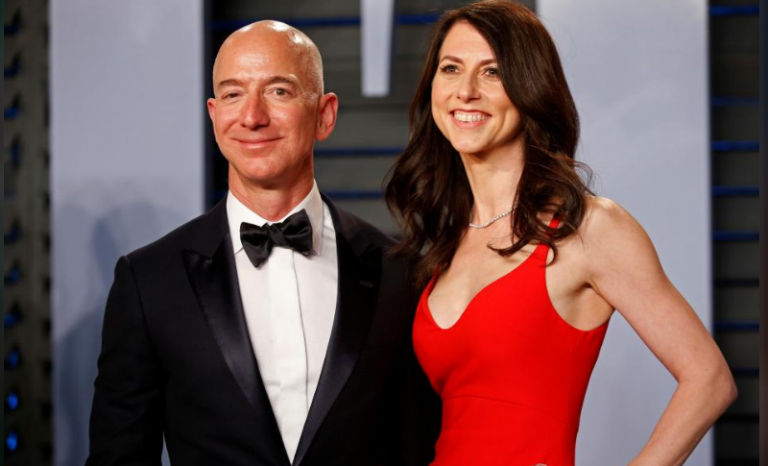 “Grateful to have finished the process of dissolving my marriage with Jeff,” MacKenzie Bezos said in her tweet outlining the agreement, the first and only post from an account created in April. The post Jeff Bezos keeps Amazon voting power in divorce settlement appeared first on SABC News – Breaking news, special reports, world, business, sport coverage of all South African current events. Africa's news leader..